50W LED street light retrofit is suitable to install on 6 meters tall lamp pole, to replace traditional 100W-150W sodium street light, widely used in residential area and rural road. The luminous efficiency is much higher than the suppliers in the same industry. LC-L001 series COB LED street light retrofit can suitable for all kinds of extreme climate, with stable performance under -40-50℃ temperature. It is largely used in Russia, Africa, Xinjiang province, Northeast China.,etc. Module design, if LED chip or driver malfunction, can be replaced within 2 minute. Just take out the screw on both side, the module can be take out easily. LED driver: Meanwell/MOSO/Philips driver, with stable performance, the working lifespan can be over 8 years. Heat dissipation: high thermal conductivity, high purity aluminum alloy. More safe: Each lamp with a security steel rope, when lamp pole was hit violently, the lamp will not fall off. IP rating: LC-L001 series LED street light is IP67 rated, can be put in water without malfunction. Intelligent Energy saving: can be half power running late in the night. Spigot angle: 5-10 degree adjustable. Fastening accessories: 304 stainless steel, never rust. Other function: Zigbee intellient control, malfunction alarm, single lamp control, digital camera, wifi.,etc. 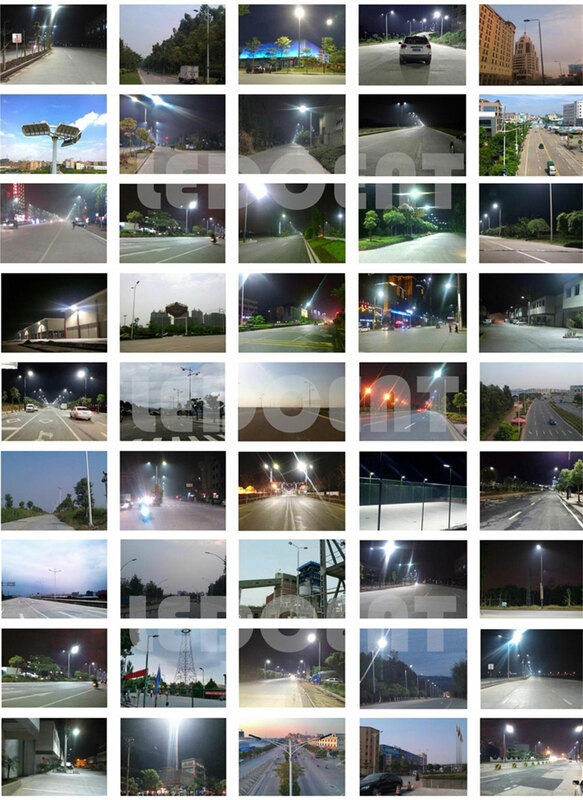 Zhonogshan LEDcent Lighting Technology Co., Ltd is a LED street light manufacturer which is located in one of China lighting capital-Zhongshan city. With registered capital 51million RMB, honored as China High-Tech Enterprise, Guangdong Bench Marking Enterprise, Key Supplier for Government. With branches in Zhejiang, Shanghai, Shenyang, Hainan, Yunnan, Xinjiang., with over 160 marketing center. Our products are widely export to over 20 countries worldwide. We are professional in design and develop, manufacture and export all kinds of LED street light, LED tunnel light, LED flood light, LED wall washer, LED highbay light.,etc.